Herbal medicine is the first choice over chemical medicine in many cultures today, and this has being successfully used for thousands of years. Looking on the origin of various typical medicines you will find a pattern that many medicines do derive from herbal plants or the mother of medicine. Also known as botanical medicine, medical herbalism, herbalism, herbology, and phytotherapy, it is a folk medicine or traditional medicine practice, solely based on the use of plants and plants extract for medicinal purposes. According to Wikipedia, The Free Encyclopedia, in the United Kingdom, the training of medical herbalists is done by state funded Universities. For example, Bachelor of Science degrees in herbal medicine are offered at Universities such as University of East London, Middlesex University, University of Central Lancashire, University of Westminster, University of Lincoln and Napier University in Edinburgh at the present. The reason for this is that more and more people are turning to natural or herbal sources of medication for cleansing, tonic, nutrition, cure and prevention of diseases, aromatherapy, herbal therapy, and healing, among many other reasons. However, before making a final decision towards alternative healing, it would be best to know the advantages and disadvantages of herbal medicines to ensure that you are getting your money's worth in addressing your health related concerns. The oldest known herbal, is a Chinese book written by Emperor Huang Ti in the year 2697 B.C. His teachings known as the Yellow Emperors Classic of Internal Medicine, were based living harmoniously with nature. It deals broadly with herbal remedies, acupuncture, diet, and the prevention and cure of physical and mental ailments. This type of medicine which can also be alternative herbal medicine is faster, more effective and safer than conventional medicine. There are herbal supplements in markets and stores all over the world as more people seek medicinal remedy for various ailments. It can be used in the form of capsules, herbal teas, tinctures, essential oils, herbal extracts, poultice and compresses, infusion and decoction, salves, syrups, liniment and seasoning which can all be found in herbal preparations. There are those who are debating the fact that 2800 BC ago, the history of this natural medicine really began in China. However, it was discovered that no one really knew the beginnings. There are also evidences, such as archaeological discoveries, that plants had been utilized eons ago in various cultures for burial purposes as well as other ceremonial rites. By living in close harmony with nature, the American Indians, when going on long trips carried herbs like common plantain for snakebites, sassafras for fevers and birch bark which was used as a natural splint for setting fractures. They used herbs for food and medicine. Many herbs were used simultaneously by the Indians and other cultures living thousand of miles away. Yarrow was used in Europe and America as blood cleanser. In China, ephedra was used for bronchitis and coughs. Doctors like Joe Pye, after whom the joe pye weed is named, showed the pioneers how to harvest and recognize many herbs because there were herbs that were poisonous, so good knowledge of the medicinal herbs was required. Sassafras was viewed as a wonder herb for venereal disease and was imported by Sir Walter Raleigh. At certain time in history it was describe as obeahism or witchcraft. This created such a great disturbance and outrage that the herbalists were victimized and terrorized and were classed warlocks and also witches. All that have now changed, in a new and literate world, where herbal medicine is widely accepted and utilized above chemical drugs which many fear the validity and repercussion of side effects. The history of herbs medicine has fought back and won. The primary achievements in this history after over 150 years, is the system of classification in regards to ailments and how they can be remedied, which was developed by Galen, an herbal practitioner. Today this tradition is continuing because the use of medicinal herbs has increased considerably in recent years and has gained high reputation to treat every ailment, including herbs for joint pain. There are radio shows, television programs, medicinal books, eBooks, numerous websites, herbalists, authors amongst other entities, spreading the word on the benefits of botanical medicine. Herbs for health are widely used and accepted today. There are rules and guidelines to follow. 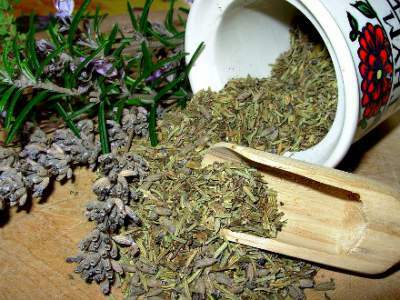 See herb guide and herbal preparations in this site as well as numerous other herb guides all over the internet. There are thousands of people, including many herbalists, who now grow their own herbal gardens for easy access as the world recognizes that there are medicinal remedies in herbalism or herbal medicine.